Take a nonstick pan and add 1 tbsp ghee. Drain the excess ghee from banana slices using tissue paper. Now put the grated coconut,2 tbsp sugar, a pinch cardamom powder, and cashews, raisins into the same pan. Fry until a good aroma comes. 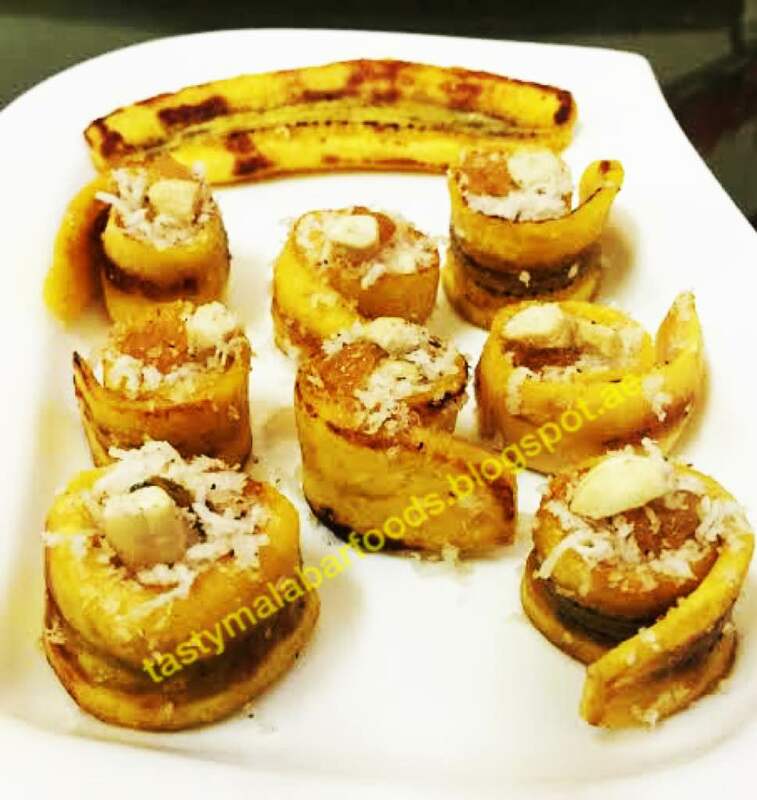 Now take each fried banana slices and roll leaving a gap in the middle. Fill the coconut mixture inside. Continue the rolling for all the slices. Decorate with cashews and raisins.